Paranormal - it's kind of a huge genre in the publishing world. From vampires and werewolves to mystical powers and ancient curses, there will always be a fascination with such things that are conjured in the imagination. Cornell Deville is the author of six Middle Grade and Young Adult novels, and he's here today to tell us a little about why readers are fascinated with magic - and why he writes. I have written six MG/YA novels so far. I have a sequel to one of them that is about half finished. 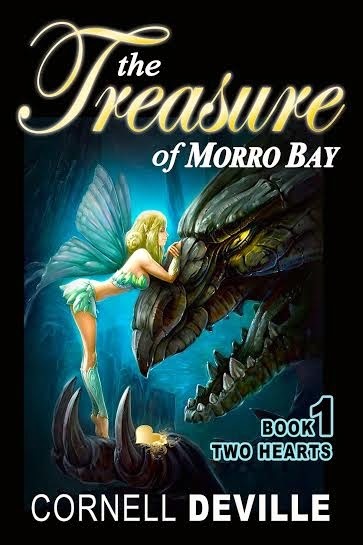 I write because I love to tell the type of stories that I always enjoyed reading as a kid. Why do you think readers are so interested in paranormal? I think readers are interested in the paranormal because it's the "great unknown." We don't know what's going to happen when we leave this earth, and we want to hope that there is something beyond this realm. 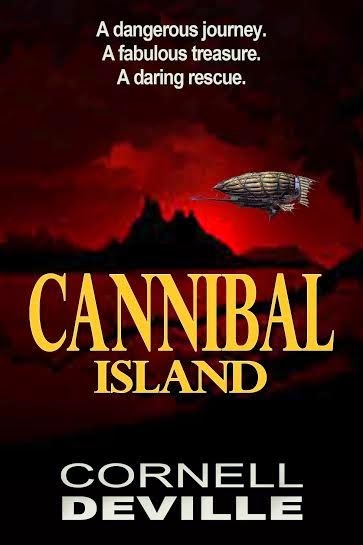 My current WIP is a sequel to Cannibal Island and the second installment in the time-travel series involving the Golden Disk. Probably potato chips, although they are a bit messy. I also enjoy cashews and, of course, anything chocolate. Cornell DeVille considers himself an Imagination Director. A member of the Baby Boomer generation, DeVille was influenced by the state-of-the-art technology of the fifties—television—and the great storytellers of the day, including Hollywood icons like Walt Disney, Alfred Hitchcock and Rod Serling. Rather than spending his summer days outside playing baseball, Deville preferred the world he could find within the covers of a good book. At an early age, he fell in love with the works of Jules Verne, Edgar Allen Poe, Robert Louis Stevenson, and H.G. Wells. Those nostalgic memories remained with him throughout the years and continue to influence his writing today. 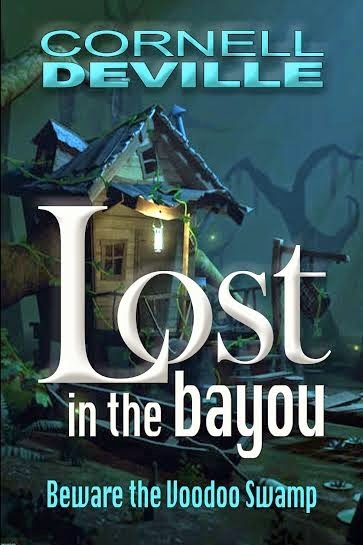 A lover of adventure, mystery, and fantasy, DeVille’s writing leads the reader on a journey that allows them to escape the real world and venture into a special realm where anything can happen. His current adventures include Lost in the Bayou, The Golden Disk, Star Wishes, The Treasure of Morro Bay, Scary Night Music, and Skullhaven. DeVille grew up in the Kansas City area, where he lives today with his wife Rosie, their bichon-poodle Hannah, and a Himalayan Persian cat named Billy. You can find him on Twitter as cornelldeville1 and on Facebook as Author Cornell DeVille.